Whoever said pies were taking over as the latest baking fad must have been mistaken. 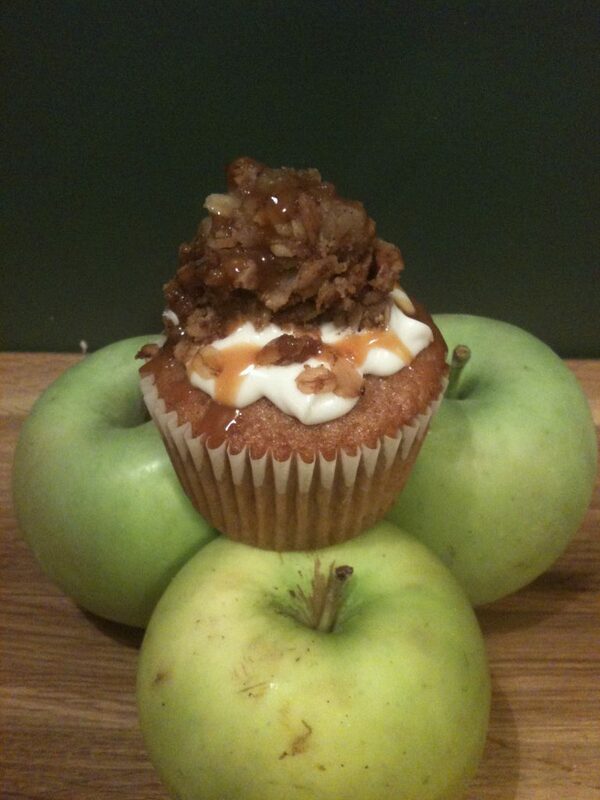 While nothing says Thanksgiving like pie, I say Thanksgiving with an Apple Pie Cupcake! With a cinnamon-maple base, cream cheese icing and an apple crumble topping; this is the ultimate seasonal cupcake. This recipe requires a few steps but I promise it is absolutely worth it! Line your cupcake pan with liners and bake for 15-18mins. Pour evenly on top of apple layer. Bake at 350 for 45 minutes. Because of the cream cheese be sure to refrigerate your cupcakes if you don’t plan on serving them same day. This is one heavenly treat…proving I guess that pie are the new cupcake!